Imagine a School where kids don't want to miss a day. They come in with a smile and leave humming a catchy new song. Walking through the halls, you can hear the sounds of lively discussion, of singing, laughter and friendship. Imagine a child who feels the warmth and spirit of Judaism. 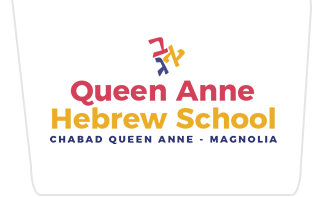 Welcome to the Queen Anne Hebrew School, an exciting and innovative educational program. Our School has exciting new programs that really engage and inspire students, a dynamic staff and interested students. Synagogue membership is not required. This program helps Bar and Bat Mitzvah Boy and Girls prepare for their Bnei Mitzvah Celebration! - To offer all Jewish children, even those with little or no background, an enriched education, combined with positive experiences and memories that will inspire them for a lifetime. -To make Hebrew School the beginning of Jewish learning, not the end. -To provide an education and learning experience that will instill pride, a sense of history, love for the land of Israel and a genuine understanding of what Judaism is all about.